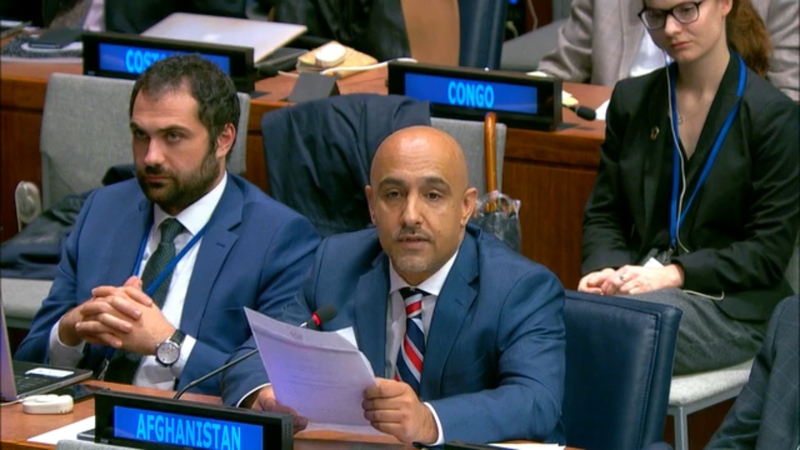 Afghanistan recognizes the important role of Special Political Missions in the UN’s efforts toward international peace and security. Afghanistan hosts one of the largest Special Political Missions. Since 2002, UNAMA has worked with Afghanistan to support our people to advance democracy, human rights and development for all of our citizens. As such, UNAMA is helping Afghanistan lay the foundation for a lasting peace, stability and development. With this support, Afghanistan has strengthened national ownership and developed a democratic system with accountable institutions. We share UNAMA’s vision for an Afghanistan that is built on the rule of law, good governance and respect for human rights. The core activities of UNAMA are mandated in resolution 2405 (2018). This resolution supports Afghanistan’s full leadership and ownership of security, governance and development. It also supports our Afghan-led efforts to achieve a lasting peace, in support of the work of the Government of Afghanistan and Afghan High Peace Council. UNAMA is also coordinating coherent support by the international community to our development and governance priorities through the co-chair of the Joint Coordination and Monitoring Board. This was consistent with the ONE-UN Approach which we have always highlighted in order to improve the UN’s efficiency in Afghanistan. We also appreciate UNAMA’s commitment to helping us advance regional cooperation for stability and prosperity in Afghanistan and the Heart of Asia region. Afghanistan notes the support by the Office of the United Nations High Commissioner for Human Rights provided to the Afghanistan Independent Human Rights Commission. We also highlight the importance of their mandate to monitor the plight of civilians and to coordinate efforts to ensure their protection. On October 20th, Afghanistan held its Parliamentary elections. It was an opportunity to demonstrate our ownership of the electoral process and helped to further strengthen democratic institutions. We thank the international community and UNAMA for their support to overcome the challenges which confronted the process. All Afghans had the chance to exercise their civic duty to help advance the democratic process. Close to 9 million Afghans registered to vote and we witnessed a high turnout. This shows that the Afghan people are rejecting violence, terror and instability. We are pleased at the increased number of women in the process both as candidates and voters. Next year, we will hold our Presidential elections and are committed to make the process fully free, credible and transparent. These elections will be another step in the consolidation of democracy in our country. We will continue to work with our international partners to ensure security in the lead up to the elections. 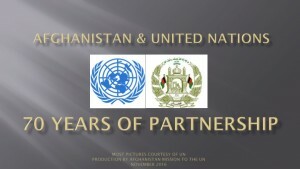 UNAMA will continue to play an important role in strengthening democratic institutions and principles in our society. My delegation also believes that more can be done to improve the performance, transparency and accountability of SPMs. We must work to advance the preventative role of the SPM and make our agendas more responsive to the needs and priorities of the host nations. We also highlighted the need for SPMs to take additional measures to prevent conflicts before they break-out. In this regard, the role of conflict prevention within the agendas of the SPMs must be enhanced. This also means new measures to prevent the relapse into conflict. We also support a comprehensive approach to sustaining peace, especially in conflict prevention and addressing the root causes of conflict. Greater effort must be made to enhance the number of women who participate in our work – especially women in peacekeeping operations. We must continue to find ways to engage women in meaningful work at headquarters and in the field. Women’s participation in all sectors of society, including in advancing peace is a core priority of our Government. This year, we launched the Second Progress Report on the implementation of the National Action Plan. It highlighted our continued progress on many indicators and results. 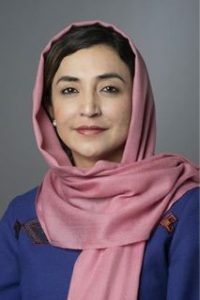 Moving forward, Afghanistan is fully committed to the further encouragement of gender parity in decision-making positions, the promotion of women in civil service and the further development of gender-sensitive curriculum. UNAMA also plays a proactive role in our implementation of Security Council Resolution 1325. In conclusion, I would like to reaffirm my delegation’s commitment to constructively engage in discussions of how to improve Special Political Missions throughout this Session of the Committee.